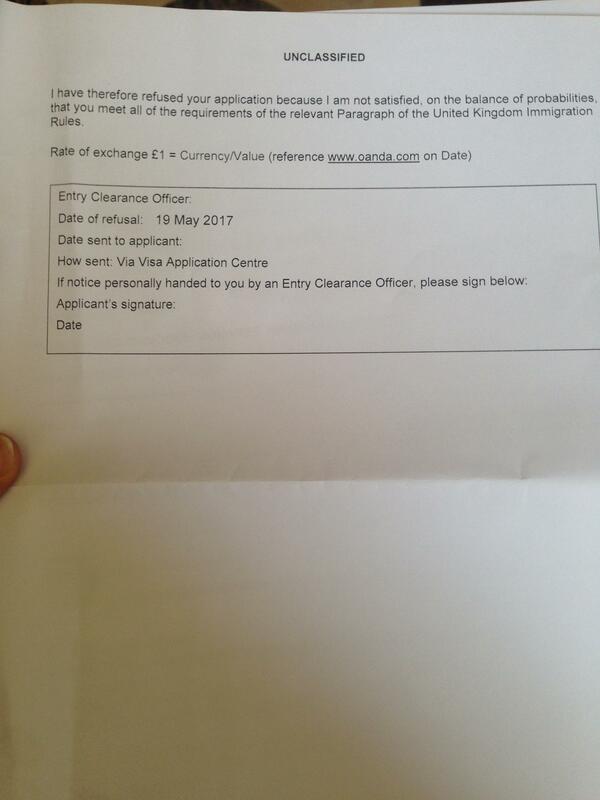 I received my refusal letter today for my standard visitor visa application for the UK. 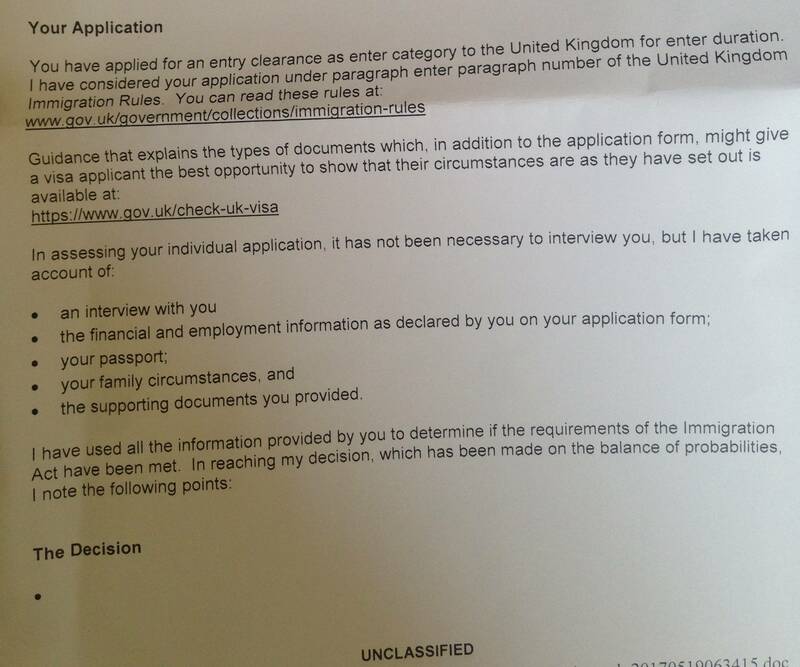 However, the reason for refusal is not mentioned anywhere on the letter and it appears more of an unfilled template. How may I proceed after this? Do I contact them and how do I do that? or should I just reapply? I am currently living in Egypt. Please check the attached letter. appears to be an "unfilled template," as you note. Presumably, after you explain this, they will make arrangements to give you a proper refusal notice. The British embassy in Cairo has a consular section, and there is a consulate general in Alexandria. Contact information for both may be found at https://www.gov.uk/government/world/egypt.